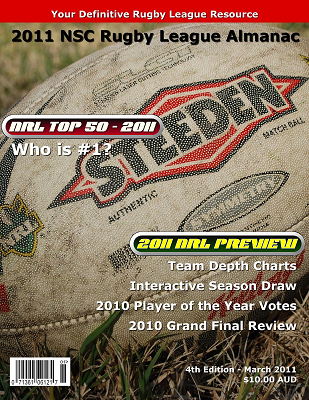 wdnicolson.com - An NRL Blog: 2012 NRL Season Draw Analysis - Good and Terrible. The stand alone representative weekend is finally a reality and falls between Round 7 and Round 8 across April 20-22. Australia play New Zealand in Christchurch on Friday April 20, the Toyota Cup has an Origin game on Saturday April 21 and City v Country may be played for the final time on Sunday April 22 in Mudgee. 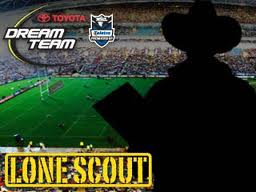 The Toyota Cup State of Origin game is not a new idea, and in fact when NOT The Footy Show suggested a Toyota Cup All-Stars match early in 2011, it still seems to make much more sense than a Blues v Maroons entity when you consider the vast numbers of quality Polynesian players filling the ranks. Mark the words - this is a State of Origin eligibility issue waiting to happen. 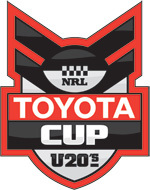 If a kid takes the chance to play in this Toyota Cup Origin game - does he end his chances of playing for New Zealand or another Pacific nation for 2+ years? An All-Stars format with two teams picked by two league legends (who changed every year) would have been far more interesting as a concept. Because the game at this level is basically a game of glorified touch... and if the NRL thinks that they will get Origin-like intensity in a Toyota Cup level game - they need to think again. Let the legends come in and give the kids a taste of what footy used to be played like and maybe everyone will be better off for it. Still - at least we got a representative weekend... even if we lose it again in 2013 - if as anticipated the City v Country clash gets punted. State of Origin Games remain on Wednesday Nights... for the time being. Can Queensland win SEVEN series in a row? The Dragons have a horrendous start and end to 2012. While there isn't room in this piece to expand on every team's draw - the new era at St.George-Illawarra under Steven Price could start out as a rocky one if the draw is any indication. They open with: @ Knights, @ Bulldogs, Tigers, Sea Eagles and @ Broncos. The close with: Storm, @ Roosters, @ Tigers, Cowboys, Warriors and @ Eels. Doom-sayers who think the Dragons will miss the Top 8 might be encouraged to put their money where their mouth is, if the bookies frame that market early. Because the Dragons might need a sensational run through the representative period to be in a position to survive slip ups from a bad start or finish. What do you think of your team's draw for 2012? Rivalry Round continues to be a joke (here are last year's matchups - and it is not hard to find the odd GAMES out) given the NRL refuses to truly give all teams a chance to play in a game with true rivalry each season (or every other season), and that's even after the NRL extended it to a fortnight's worth of games to give all 16 teams a home game in Rounds 19 and 20. While the Knights v Sea Eagles, Roosters v Rabbitohs, Dragons v Sharks and Bulldogs v Eels are fine games with rivalry in mind, the rest of Round 19 - Broncos v Warriors, Raiders v Titans, Storm v Cowboys and Tigers v Panthers are stretches at best. Or in the case of the Raiders v Titans - a go-go-gadget arm-like reach. And you could probably put the Storm v Cowboys game in that category as well. Yes the Broncos v Warriors had a memorable 1995 Season Opener in Auckland and you can call the Tigers v Panthers is 'the battle of the big cats' but how do they stack up to suburban battles or Grand Final history - where rivalries are normally born? Mind you, we haven't looked at Round 20 yet (the second part of Rivalry Round in 2012). The Sea Eagles v Bulldogs will have the coach now and coach to be Des Hasler element, the Eels v Storm stems from the 2009 Grand Final, the Warriors v Knights... swing and a miss, Titans v Broncos is a local derby, the Sharks v Raiders... a couple of semi-final clashes with the most important being the 1997 Super League Final (strike two), the Cowboys v Tigers is the 2005 Grand Final rematch, the Panthers v Roosters is the 2003 Grand Final rematch and the Rabbitohs v Dragons is steeped in Grand Final history and geographical significance. So do the math - who are the big losers in the 2012 edition of the NRL's Rivalry Round? The Canberra Raiders. The team the NRL seems to at times want to forget when it comes to historical significance... when historically significant events roll around. In case the NRL was a bit hazy on their history - the Raiders entered the competition in 1982, won three premierships and played in five Grand finals against four opponents. Blockbuster's abound... but some scheduling makes little sense. Conservatively across the 26 rounds and 192 odd regular season games, there are 25-30 'blockbuster' games on the schedule. Some are beautifully placed across the schedule to be an easy choice by Channel Nine as their marquee matchup, but others are placed in less desirable locations. Knights v Dragons to open the season (as mentioned) is brilliant. It'll sell-out AusGrid Stadium and rate big time for Channel Nine. Warriors v Sea Eagles in Round 1 is smart. Ideally you would schedule the premiers to be the home team but due to development at Brookvale Oval - Manly will be the visiting team for the Grand Final replay. Last year - the Dragons had to wait until Round 7 to play the Roosters on ANZAC Day (before you claim 'they always play on ANZAC Day so the NRL had no choice, some teams played each other twice within 4-6 weeks - so they could have played in Round 1). And by the time the Dragons v Roosters rolled around the Dragons were 5-1 and rolling along nicely and the Roosters were 2-4 and looking ordinary. 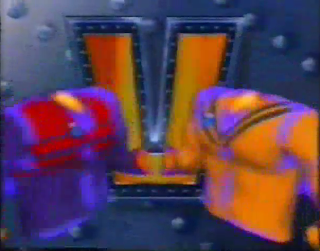 So all the sizzle was gone from the game before it was even played. Parramatta play the Tigers in Round 8 and then the Bulldogs in Round 9 - with both games at home - they could sell out Parramatta Stadium but both games could end up at ANZ Stadium where 40-50k crowds are certainly possible before the Origin period starts depleting players. Melbourne will host the Broncos just two or three days after State of Origin 1 (also in Melbourne) in Round 12. The key players involved will not have to travel halfway across the country which is already a good thing, and these two always seem to produce a quality game. Two big games will feature in Sydney after State of Origin 2 (also in Sydney) in Round 15. Manly and Melbourne go at it for the first time since August (and Donnybrook Oval) and the Dragons host the Bulldogs in another game that should draw a great crowd. Again the best players are already in the city before the big club match. With Origin and the dreaded byes out of the way (more on them shortly) - Round 19 signifies the start of the run home. We've talked about 'Rivalry Round' already but the Knights at home to the Sea Eagles and the Bulldogs hosting the Eels are nice starts to this final third of the season. Finally as the season winds down - expect to see a lot of the Wests Tigers on Channel Nine. From Round 20 they play: @ Cowboys, @ Rabbitohs, Eels, Dragons, @ Bulldogs, @ Roosters and the Storm. It is not a stretch to suggest every single game will be on FTA. The final round's marquee game between the Tigers and Storm could be a beauty. The Tigers travelling to Melbourne to take on the Storm in Round 14... on the weekend before Origin 2 in Sydney. Do the math and that means no Cameron Smith, Cooper Cronk or Billy Slater for the home team. After Origin 2 in Sydney - the Cowboys and Broncos get to travel all the way to Townsville for Round 15. Canberra getting the Dragons in Canberra in Round 17... before Origin 3 in Brisbane. While Canberra have dominated the Dragons in recent living memory - the fact their top players might not be available is one thing, but Channel Nine (or the NRL for that matter) not wanting to capitalise on a truly crazy hoodoo in the sport for a prime time market is inconceivable. Speaking of Origin 3 and the subsequent Round 18 schedule... the Broncos get the bye. Now they have had it for the last few years after Origin 3, but given Origin 3 is IN Brisbane - surely scheduling a Friday Night game at Suncorp would offer all travelling fans (from both in-state and inter-state) a chance to take in two great games at the centrepiece for Rugby League in Australia? Apparently not. Round 21 sees the Dragons host the Storm... another inexplicably long wait for fans of the game (not to mention the teams) 12 months after another inexplicably long wait in 2011 when we had to wait until Round 24 for the two heavy-weights to play for the first time since the Storm cap-scandal. This is a truly marquee game... yet if either team is struggling by Round 21 - might lose a lot of its lustre. (See 2011's edition). Bye scheduling is going to have a huge impact on Fantasy League involvement mid-season. The NRL, Fox Sports and the Daily Telegraph have gradually been coming around to the notion that 'Fantasy League' is quite the marketing tool and time killer for fans of the code... but the introduction of a THIRD bye for clubs in 2012 is going to hammer the gains the providers made in 2011. While the third bye is really just a league-wide week off over the representative weekend between Rounds 7 and 8, it is the way the NRL has structured the existing two byes that will impact the fantasy game the most. Think about it - at least under the old (and not ideal by any stretch) bye system - you knew that the squad you picked would be hit hard by Byes over the representative period because at any one time you'd either be without a big chunk of players (as multiple clubs had byes), or just two clubs' worth but the saving grace was that for the second weekend after Origin was played - a full compliment of players would be available. The NRL has spaced the two byes for each club from Round 10 through 18 and most significantly, not a single NRL Round will be 'bye-free'. Round 10 sees the Tigers and Rabbitohs take a week off, followed by the Broncos, Raiders, Storm, Knights, Titans and Eels in Round 11 before Origin 1, and then the Warriors and Sharks get the week off after Origin 1 in Round 12... only for the Panthers and Roosters to take a vacation in Round 13, then the Sea Eagles, Bulldogs, Dragons, Cowboys, Eels and Rabbitohs take a break in Round 14 before Origin 2, the Raiders and Knights are off in Round 15, the Warriors and Sharks sleep in during Round 16, the Sea Eagles, Bulldogs, Storm, Roosters, Tigers and Titans relax before Origin 3 in Round 17 and finally the Broncos, Panthers, Dragons and Cowboys put their feet up for Round 18. Now the next question is directed at seasoned fantasy campaigners - does that bye schedule scare you? And then the next question goes to the casual fantasy player... who has probably skipped to the next section of the 2012 Draw Analysis because they are totally freaked out by having to try and cope with so many byes (translation = my fantasy league team will be short every week) while trying to play a game, that in truth, they know they can't win by about Round 3. Are you going to stick with the game when you've got players out every single week from Round 10 to Round 18? While Fantasy Games should never rule the real thing (the NFL faces that happening with some fans who no longer support a real team and instead only care for the fortunes of their fantasy squad), the NRL may not have considered the huge impact on participation another dose of byes (translation = fantasy tranquillisers) will have on a market they have only just begun to gain some traction with. Final Thoughts on the 2012 NRL Premiership Season Draw. This article could go a lot longer than it already is, but you get the picture after the above analysis. The NRL Draw is good, but it lacks in a few areas, that perhaps some forward thinking might have helped it avoid. Granted scheduling 192 odd games is no easy challenge, but any process can be improved. And the interests of all 16 NRL clubs held in the same regard as each other... mind you, that's what the long awaited and still not here, Independent Commission is supposed to bring. And then we'll be here a few years from now, wishing that the it wasn't the clubs who had all the power. but with the NRL Top 250! But in the meantime enjoy the off-season, watch the final games of the 2011 Four Nations Tournament and eagerly await the return of the Rugby League Almanac. Yes, the Fourth Edition is FINALLY scheduled to be released along with the NRL Top 250 in December as an ideal Christmas gift for the footy-starved fan. Every team's depth chart, thorough team analysis, recruitment summaries, Player of the Year Voting breakdowns and plenty more. Email this address to register your interest - and this time it will most definitely be released, sadly the unstoppable train that was the NRL Regular Season of 2011 meant that the edition that was 85% finished in March had to be held off, but the 2012 edition will be a beauty. What do you think of the 2012 NRL Premiership Season Draw?